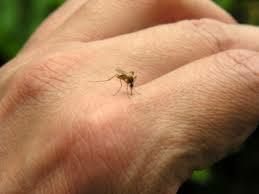 Home » Health Alerts » No More Pesky Mosquitos! We are excited to announce we are now carrying an all-natural bug repellent made by our friends at Mission Essentials. 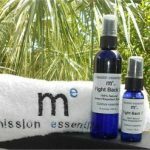 Mission Essentials is a locally owned and operated business that offers natural products free of harsh chemicals. The bug repellent is a 100% natural blend of essential oils and free of any harmful and synthetic chemicals, including DEET, parabens, and SLS. We have both the spray and a rub-on stick. I tried it and I’m impressed – no more Deet for me! Mission Essentials offers products that are paraben free, contain no sodium lauryl-sulfate (SLS), and are vegan-friendly as part of the company philosophy. Their packaging is biodegradable and the plastics can be recycled, making it earth-friendly too! The 100% natural insect repellent spray is made from some of the best ingredients that keep bugs away including gnats, mosquitoes, no-see-ums, deer ticks, and more, while the rub-on stick is a convenient way to provide direct coverage to a particular area of the body. As you are all aware, we only recommend products which are healthier and better for you. Insect repellents can be an especially tricky thing because while the mosquitoes are a bother, the chemicals found in commercial repellents are quite dangerous. These products have a non-alcohol base and are both child and pet friendly. They were created by the husband and wife team of Steve and Gail Salomon, both registered nurses. 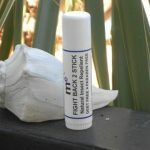 Try a bottle/stick of this inexpensive, yet effective product and be free of pesky bugs when enjoying the outdoors. The bottle of all-natural bug repellent is available in our office for $5 and the rub-on stick is $8. Let us know how well this product works for you. William J. Weirs, M.D., F.A.C.E.P.